In addition to the eastern sections of Madagascar, this BioProvince (as defined by Armen Takhtajan) includes the high plateau and mountains in the centre of the Island and the northwestern parts including the island of Nosy Be but not the area north of Vohemar. Much of eastern Madagascar is underlain by Precambrian rocks with occasional outcrops of basalts and rhyolites ranging in age from Cretaceous to Neogene. These eastern areas have a subequatorial climate and exposed to the Trade Winds have the heaviest rainfall of Madagascar. It is notoriously hot and humid and can be affected by destructive cyclones during the rainy season. Nevertheless, it s one of the World’s endemic hotspots with three endemic plant families (Asteropeiaceae, Sarcolaenaceae, Sphaerosepalaceae), a monotypic endemic sub-family (Takhtajanoideae) of the Winteraceae and about 160 endemic genera, and of the 6100 native vascular plants, about 4800 (79%) are thought to be endemic. 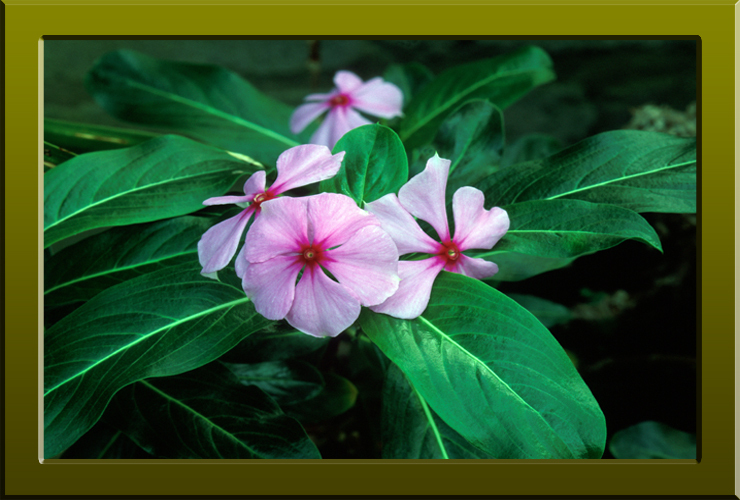 Catharanthus roseus (Apocynaceae) commonly known as Madagascan periwinkle this species is endemic to east and southeast Madagascar and of major pharmaceutical value (Copyright © 2010 Peter Martin Rhind).